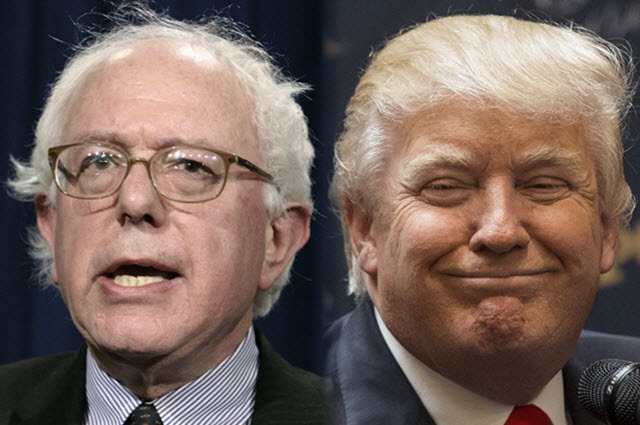 KAREEM ABDUAL-JABBAR: DIFFERENCE BETWEEN TRUMP AND BERNIE SANDERS | Concise Politics -- Your Time should NOT be wasted. SANDERS = A viable candidate who elevates the political process as our Founding Fathers intended. Trump UNDER PRESSURE authored his own doom by Assaulting the U.S. Constitution. Sanders UNDER PRESSURE opened immense new possibilities – compassionate person and serious viable candidate for president who elevates the political process as our Founding Fathers intended. Fatal MISAKE for Trump = At GOP debate on Fox Megyn Kelly asked about his attitude toward women (he called “fat pigs,” “dogs,” “slobs” and “animals”) and he threatened the questioner: “I’ve been very nice to you, although I could probably maybe not be, based on the way you have treated me. But I wouldn’t do that.” = Attack on First Amendment’s protection of a free press by menacing journalists + A leader threatening reporters is an outrage + Trump blamed her attitude on her menstrual cycle. + Trump allowed Univision reporter Jorge Ramos to be ejected from a press conference for asking questions about immigration. TRUMP = Biggest enemy now running to the principles of the Constitution. Trump CANNOT WIN = Tom McCarthy in the Guardian laid out the statistical reasons Trump can’t win, complete with graphs that show polls from past presidential candidates who were doing even better than Trump at this stage of an election, only to fade into political irrelevance. = Rudy Giuliani, Howard Dean, Ross Perot, and 2008 Hillary Clinton all failed. Bernie Sanders faced his own challenge at a political event last month, when two African American women pushed in front of him to use the microphone to demand four and a half minutes of silence to honor the death of Michael Brown. Sanders left the stage and mingled with the crowd and Trump criticized Sanders as being “weak” for allowing them to speak. SANDERS = Truly showed grace under pressure — Sanders left, after all, it was not his event, he was a guest. Besides, his voice was not silenced, but came back booming even louder: The next day, Sanders posted a sweeping policy of reform to fight racial inequality. = A mature, thoughtful and intelligent man. TRUMP = Arrogant to criticism and impervious to feeling the need to have any actual policies = A last-call candidate who looks good in the boozy dark of political inebriation = Assaulting the Constitution and soon will be lost forever. This entry was posted in KAREEM ABDUAL-JABBAR: DIFFERENCE BETWEEN TRUMP AND BERNIE SANDERS and tagged KAREEM ABDUAL-JABBAR: DIFFERENCE BETWEEN TRUMP AND BERNIE SANDERS. Bookmark the permalink.